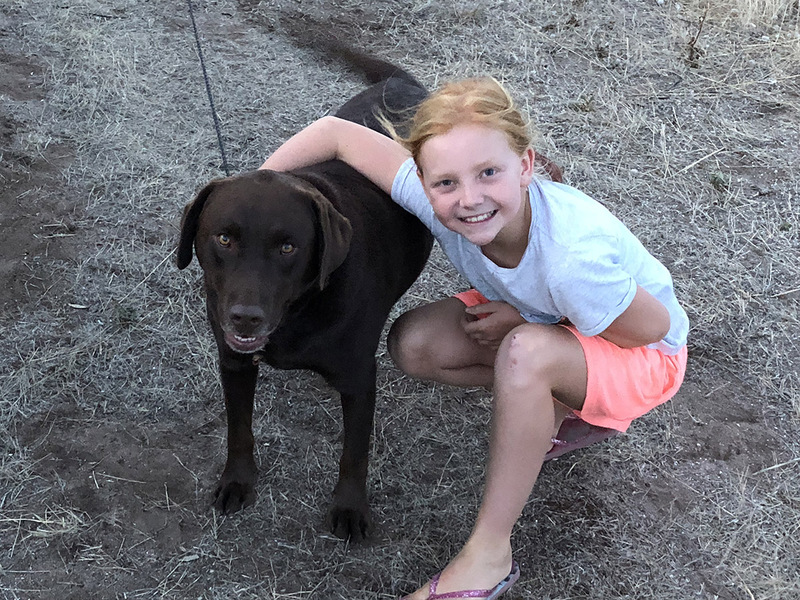 Four Hands in a Tin Can have been travelling with Diga Dog, our chocolate Labrador, since January 2016. He is a much loved and included family member, so everywhere we stay we consider his needs and wants as well as ours. 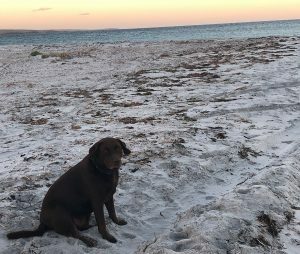 Traveling through South Australia, we found some awesome free/low coast camping sites that we perfect for Diga Dog to enjoy himself. He loves to swim, he also likes to swim out to us and to sit in our arms and let the water wash over him while he has a snooze. Yes, he is totally in charge! This free camp is next to a reserve with a lake and walking track. This makes a great location for free camping with the pooch. Diga waked the track with me a few times, and he also found some great spots to jump into the water and have a swim. I think he thought he would pretend to be chasing ducks, but I knew he was just cooling off. The free camp also has a great gassed area, is great for fishing (they top the lake up with fish during certain seasons) and a wonderful picnic/BBQ area. This camo ground is juts heaven for both pets and people. At $9 a night per adult, and kids over 8 years are $4.50 per night, it is a great free camo that is very well maintained. Camping near a beach is always a bonus, and this is what you get at Rapid Bay (as well as cleaned and stocked flushing toilets). 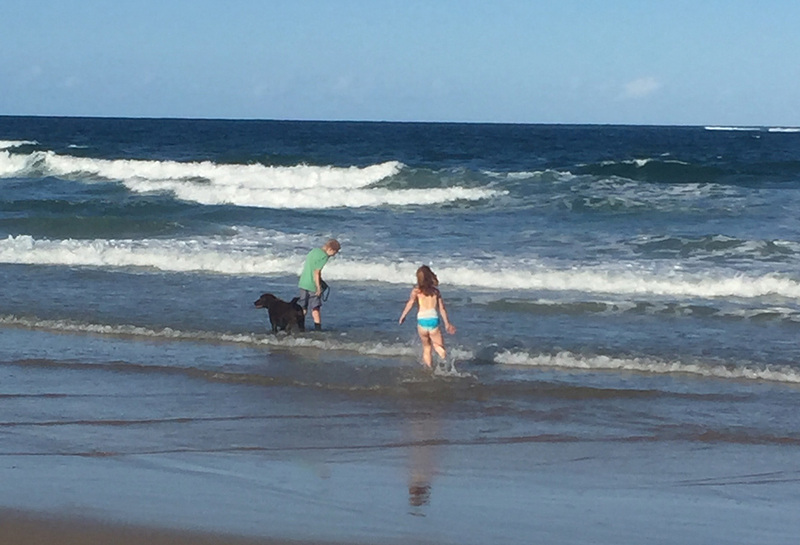 The beach is dog friendly, and is also an off-leash beach after peak times – such as before 10 am and after 6 p.m. Diga Dog loved swimming in the ocean with us all, and running along the sand to investigate and sniff other dogs that were enjoying the beach. 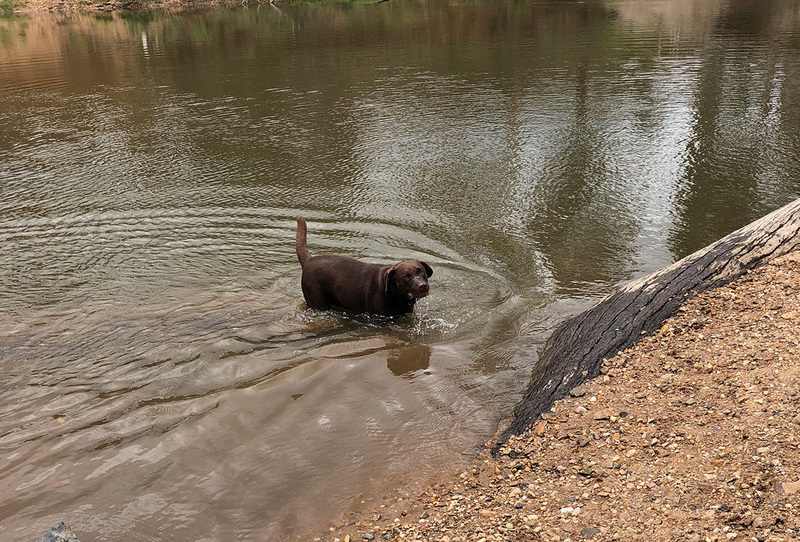 There was a cold shower within the camp ground, with fresh water, so we were able to wash Diga Dog off after each swim. 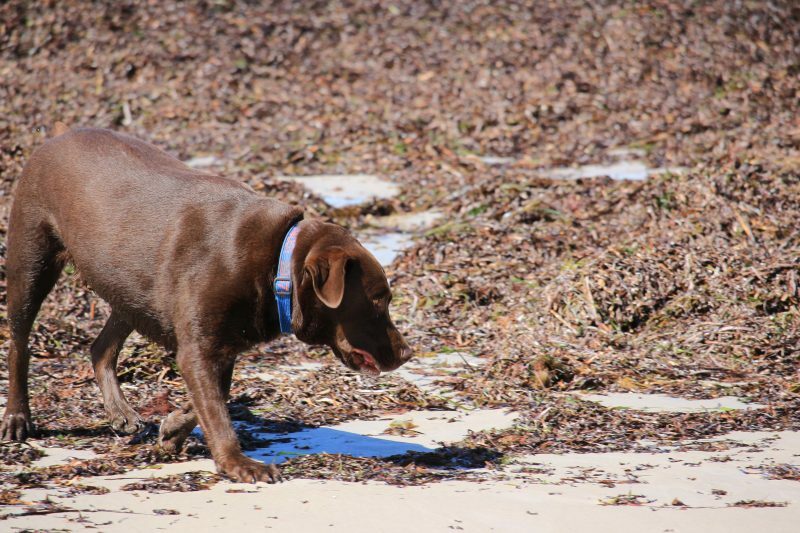 Port Parham is just before the Yorke Peninsula, so it means crabbing for us humans, and lots of beach for pooch to run on while the tide is out. It is also free. The tide goes out a long, long way, the beach is very quiet – other for those who are crab raking – and this allows for lots of free running and play. Diga Dog did find some smelly seaweed to roll around in, which was just unimpressive for our noses, but a delight for him. 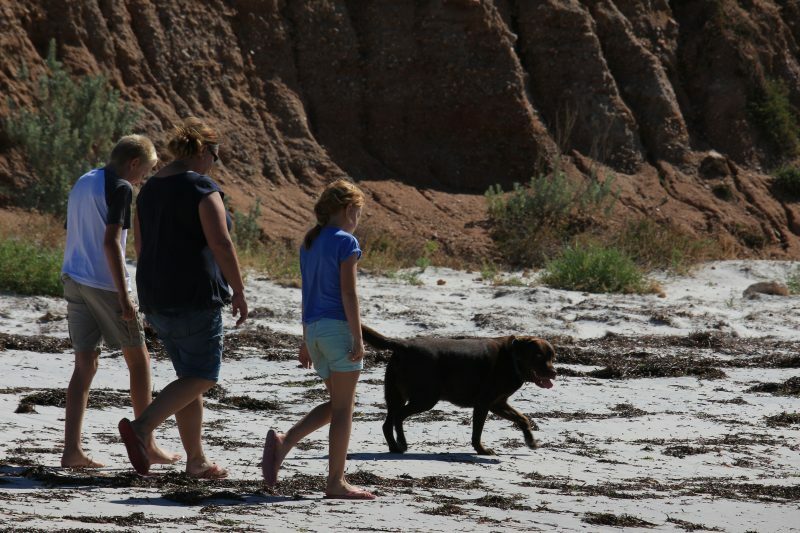 The Yorke Peninsula is very dog friendly, (except for the Innes National Park), and Port Julia was no exemption. 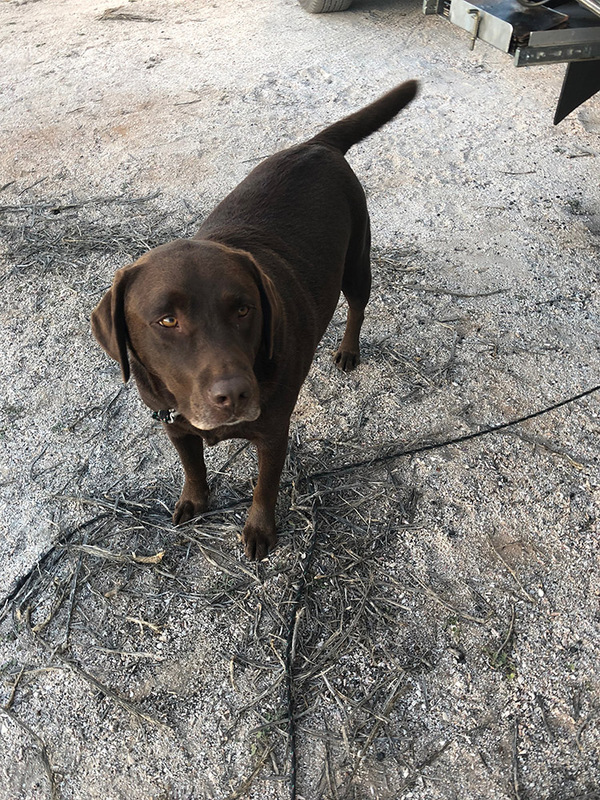 They encourage for you to bring your pooch to happy hour every afternoon, and are happy for you to leave pooch at the caravan (only is they are not going to fret or cause problems) while you explore. While we were there, a guy had dehydrated chicken breast, and he was treating all the dogs at the happy house with this treat. 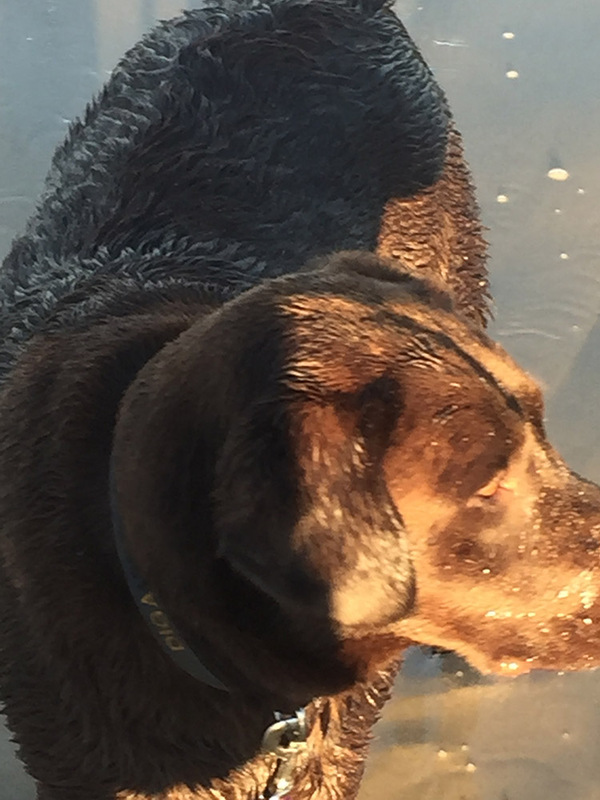 Again, the tide goes out a fair way, so Diga Dog got a few good runs on the beach and a swim. Now, this is a low-cost camp ($10 p/n) that everyone in the family will fall in love with, including your pooch. The beach is perfect for swimming, fishing, walks and playtime. Diga had a ball chasing birds and climbing over a few rocks to get around a cliff face to another beach. The other awesome thing about Lipson Cove is the birds. Now, everyone hates wind, and we are no exemption to this, but the more wind, the better the bird show at sunset. The view into Lipson Cove is also magic, and we have a great video on our page for your enjoyment. A great little camp, that when we arrived and parked, we found out our neighbour had a yellow lab and their neighbour had a black lab. Gee, the Diga Dog had a ball playing together and swimming in the lake. The best thing about this camp, was if you have a boat, there were lots and lots of yabbies to catch. This is another great low cost camp ($10 p/n) that has a playground for the kids and an awesome beach to explore. There was mountains and mountains of seaweed, but once you get past this, there was a great walking area, and lot of puffer fish on the beach, cuttle fish bits and some wonderful shells. Diga Dog loved his walks along this beach, however he didn’t find any sea weed to roll around in, much to our delight. A magical spot, on the beach, between Robe and Kingston SC, where Diga Dog could play on green grass with the kids and have a run on the beach. While it can be a bit windy, the beach was awesome for a swim, and allowed Diga Dog the freedom of running free. We also did a great video of this camp spot on our page for you to view. 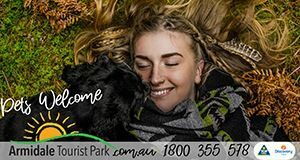 This is great little town with a free camp in town, that gives you the ability to walk to the Jetty, walk a part of the Great Yorke Peninsula Walk and of course your dog is welcome the whole way. You can go crabbing (with baskets) off the Jetty, and they were plentiful. Diga Dog was welcome to stroll the jetty and to investigate what people were doing. He learnt real fast that those pesky crabs had the possibility to hurt him, but he avoided getting hurt. A Labrador and his nose can sometimes mean trouble! 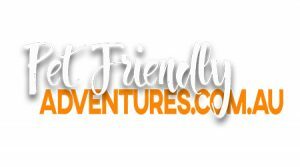 This one is a bit off the beaten track, is a free camp, and is near Streaky Bay. It is South Australia’s version of Wave Rock, and boy is it fun to climb and explore. We took Diga Dog for a big walk around the rock, and he was also bale to climb onto some of the rock. He likes to explore wherever we explore, so there is no holding our boy back sometimes. There were a lot of flies, which frustrated everyone, including Diga Dog, but overall it was a great location for a bit of exercise and a lot of exploring.